eTrex Touch 35 is the new family navigator for outdoor activities and alpine adventures, ideal for everyone that likes to dip their toes into the great outdoors - from casual cyclists and hikers to geocaching newbies. eTrex has been the world’s most popular and successful recreational GPS series for the past 15 years. eTrex Touch 35 is its newest member, that is now easier and more convenient to use than ever. 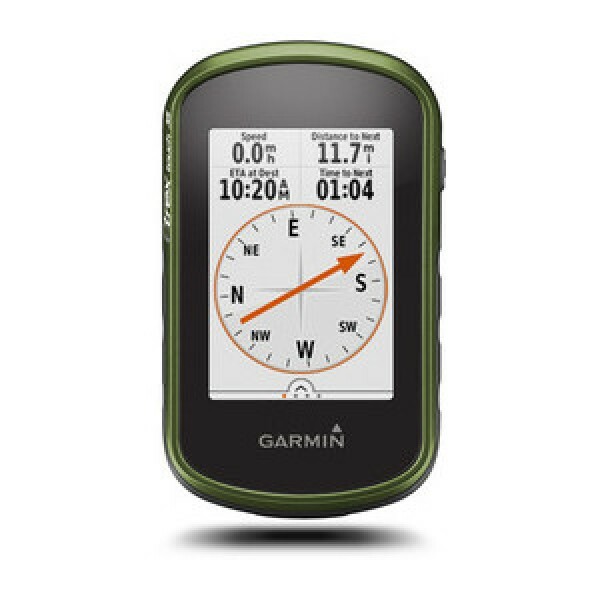 With additional altimeter, it also supports activities like hiking, mountain biking and geocaching and comes pre-loaded with 250,000 geocaches for endless fun outdoors. With smart notifications straight to your device from your smartphone1, you can stay connected when you’re on the go. Get out there and have fun with the family! eTrex will guide you every step of the way. - Optimised for multiple activities – just select and go! eTrex Touch 35 works like an automotive navigator, but with maps and features specifically designed for navigation during recreational activities like cycling and hiking. Whether you have a specific destination in mind, or you just want to record your activities to share later on, eTrex Touch 35 gives you the freedom to explore with confidence. You can even find and download activities others have completed on Garmin Connect and Garmin Adventures, or share your own with the community. eTrex Touch 35 holds no one back, it’s everything you need to get out there and experience the outdoors at every opportunity. Not only is it designed to enhance whatever activity you fancy, but it comes fully prepared for you to take it straight out the box and get going. By adding a cycling mount (sold separately), the eTrex Touch 35 is particularly appealing to recreational cyclists, who can easily attach the device to their handlebars. With a large 4 GB internal memory and a microSD slot, there’s plenty of room for additional mapping, such as the Garmin Southern Africa Topo Pro or Marine maps. For beginners, eTrex Touch 35 holds 250,000 great geocaches suitable for those new to geocaching – to help you get used to the whole concept. All geocaches are from geocaching.com, the world’s largest geocaching platform. Don’t have a specific destination or route in mind? 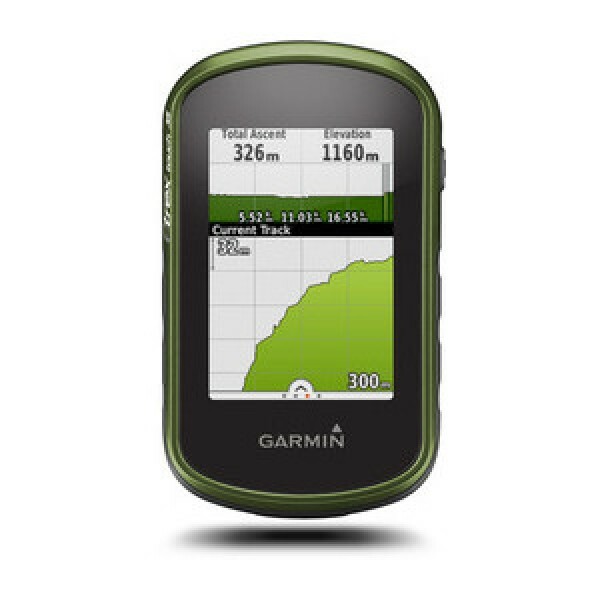 Search for recommended adventures on Garmin Connect or Garmin Adventures, and see routes and geocaches that others have completed. Then download them to eTrex Touch 35 ready for your next adventure. Or create and customise a completely new route to download to your device. Want to save and re-live a recent adventure? eTrex Touch 35 records where you’ve been so you can upload your routes to Garmin Connect or Garmin Adventures and relive them whenever you want. 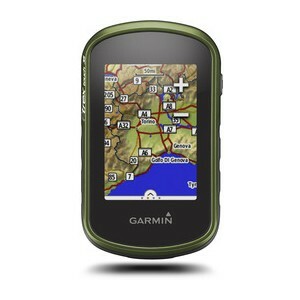 Garmin Connect and Garmin Adventures are free and allow you to share your recreational adventures with friends and family. eTrex Touch 35 supports GPS and GLONASS, giving you the power of two satellite systems, for faster fix and better accuracy in challenging environments. Let eTrex Touch 35 do all the hard work for you – just check your actual position and follow the guidance. eTrex Touch 35 also adds a barometric altimeter to the mix, for safer navigation in alpine environments and accurate elevation data. The device is fully rugged, IPX7 water-rated and has a scratch-resistant screen. The long 16 hour battery life and field-replaceable standard AA batteries guarantee flexibility when you’re on the go. eTrex Touch 35 also provides all of the classic eTrex Touch 35 features like hunting and fishing information, sport watch, sun and moon calendar, sunrise and sunset data and much more. The handy device fits easily into a pocket or on a handlebar. It’s also designed to be a size that allows kids to easily handle it too. Using the spine mount mounting system, eTrex Touch 35 can be mounted pretty much anywhere with specialised mounts for boats, cars, backpacks etc. eTrex Touch 35 lets you share your waypoints, tracks, routes and geocaches wirelessly, through unit-to-unit sharing with compatible Garmin devices. With the smart notification feature, you’ll never miss a text, email or notification from your compatible smartphone*, unless you want to. You can also use your eTrex Touch 35 as a remote control for our VIRB action cameras.